As explained in my original About HobbySpace text shown below, I created this web site to reach out to members of the general public who are interested in space but don't actively pursue that interest. I believe this is because they are simply unaware that fun and captivating space-related activities exist for regular folk and not just for rocket scientists. I want to encourage people to join with the many hobbyists who enjoy space related pursuits such as observing and photographing orbiting spacecraft, flying high-altitude rockets, or even building hardware for space such as the many amateur and student nano-satellite projects. Less technical activities include creating or collecting space inspired artwork and music. A sizable business, in fact, has developed around the collecting of space memorabilia. These non-tech activities may give only a vicarious involvement with space but they can nevertheless provide a real sense of participation in humanity's expansion into this marvelous new domain. I've also been on The SpaceShow radio program with Dr. David Livingston and discussed with him some of my ideas on how to encourage greater public involvement with space as well as what is happening in the NewSpace movement. Space for Amateurs: The role of enthusiasts in space exploration and development by Clark S. Lindsey. This is a reprint of an article in British Interplanetary Society's Spaceflight Magazine, January 2002. 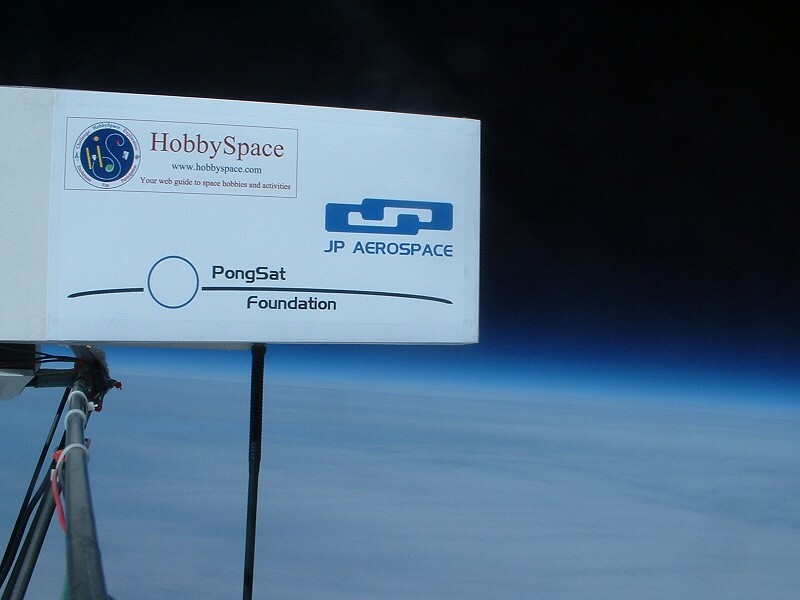 The HobbySpace Log - Space for All weblog provides the latest news and updates related to space hobbies and activities and also includes items about space development in general. While participation in space activities on earth is greatly rewarding, the ultimate goal of space advocates like myself is see the general public obtain the opportunity to experience outer space in person. I expect eventually that millions of people will not only visit space but settle there permanently. However, the very high cost of transporting people from earth has been an overwhelming obstacle to public access to space. NASA and other government space agencies around the world have a very poor record with regard to developing cheaper means of getting to space. The Space Shuttle, for example, was initially presented as a vehicle that would significantly lower launch costs. However, its extraordinarily complicated design required a huge army of people to refurbish (or rebuild) it between launches and this caused the shuttle actually to cost more to launch than any other vehicle. For many institutional and political reasons, the agency nevertheless remained committed until recently to flying the shuttles for several more decades. This emphasis on commercial space development has expanded beyond just launch vehicles to include coverage of all types of non-governmental projects such as private space stations and space tugs. When HS began, space tourism was considered a farfetched, if not ludicrous, notion by many people even within the aerospace industry. Dennis Tito changed all that virtually overnight and now space tourism is developing into a real industry. The winning of the X-PRIZE by Burt Rutan with the SpaceShipOne has set off a new race to develop commercial suborbital spaceflight. Routine operations are expected to begin in just a two or three years. The movement towards innovative space projects pursued by non-governmental organizations, especially small, entrepreneurial startup companies, is referred to by various names such as the new space economy and commercial space but the most popular name is simply alt.space. The alt.space community consists of new businesses, activist organizations, and individual space advocates and is growing rapidly. It has gotten significant attention recently with events like the X PRIZE and passage of the Commercial Space Launch Amendments Act. I hope you will visit HobbySpace frequently as we monitor the exciting alt.space developments in the years ahead. If progress continues at the rate of the recent past, we will soon see an enormous jump in public participation in space activities. In an article about Gary Hudson in the October 11th, 2004 print issue of the industry publication Space News, author Brian Berger included the following reference to HS: "... HobbySpace.com, an online publication that caters to the entrepreneurial crowd..."
Suborbital spaceflight: a road to orbit or a dead end? by Clark S. Lindsey, The Space Review, Dec.15, 2003. Suborbital Rockets to Space: The Next Logical Step? by Clark S. Lindsey. Reprint of an article in NSS Ad Astra, March-April 2002. HobbySpace currently (as of January 2005) provides over 5000 pageviews per day to its visitors. Please contact me if you have a space-related service or business you would like to advertise to these space enthusiasts. Even at the lowest of low points in public support for the U.S. space program, surveys invariably show 10 to 15 percent of the respondents checking the Increase Space Funding box. That's around 30 million people who are really excited about space exploration. Yet, there is no 300 page weekly or monthly space magazine being snapped up by this huge audience. On the other hand, one can find half a dozen magazines at the newsstand on fly-fishing or woodworking or even general aviation. A young bright kid comes across one of the hard-to-find space enthusiast magazines. She finds the articles about Mars colonies and proposed rocket designs really cool. She puts the magazine down and never picks one up again. BECAUSE THERE'S NOTHING TO DO! In most space publications, space exploration appears to be only for a few astronauts or cosmonauts or for scientists operating space probes from their labs. What fun space stuff can you do? Even for those who love to read about space, many don't believe there is any fun space activity that amateurs can do. Dozens of fun space hobbies and activities! I was surprised myself to find just how many there are. In the course of building a large set of space links, I came across more and more hobbies and public activities related to space. I decided to build this site by taking those links and organizing and expanding on them, and including additional background information and tips. HobbySpace now has over 30 sections, most of which are devoted to a space hobby or activity. Grand Adventure of Space Exploration. For information about the owner and editor of HobbySpace, see this ancient homepage from back when I worked in Sweden and was less gray and (if you can believe it) less bald. The development of space will only be successful when the general public becomes directly involved. Incremental, step-by-small-step development can achieve permanent human settlement. Private, commercial entrepreneurial enterprises can make most of these steps. Small, niche markets can be sufficient to support those companies. © 1999-2016 HobbySpace, All Rights Reserved.